I don’t know why I waited so long to covert his crib to a full bed. Laziness could be one reason. Not wanting to let go of my baby is another. 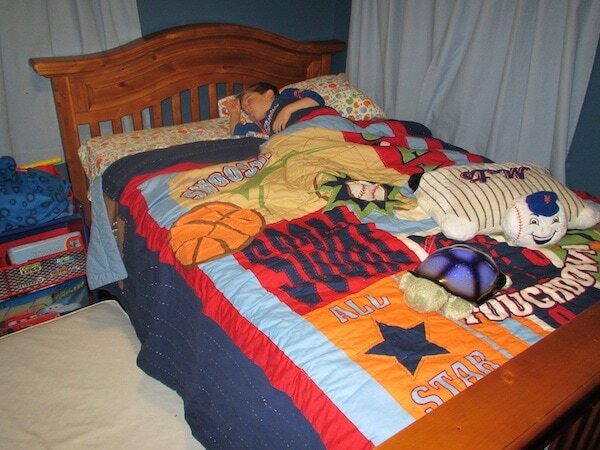 But the day after Bill and I painted, Liam was sleeping with his new sports comforter (from Target). I love it!! We had his friends sleep over this weekend and they helped christen everything. LOL. 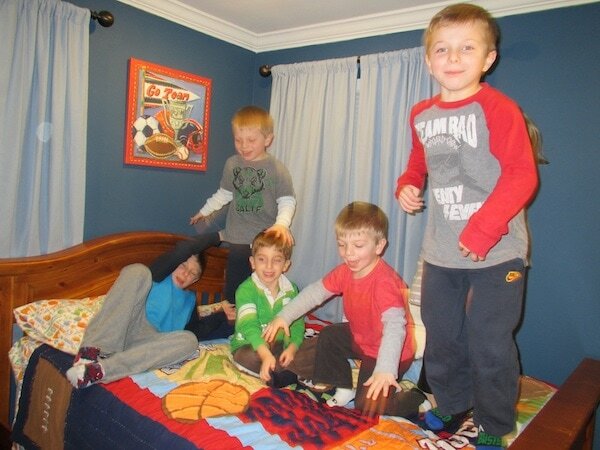 I can’t tell you how many times these kids went and jumped on that bed. It was really so cute to watch. All that’s left from my decorating plans is for my bedroom walls to get done. I’m putting 6 foot wainscoting – here’s the inspiration. I can’t WAIT for that to happen. The holidays delayed everything a bit. I’m hoping now that we are in the New Year, we can book a date. LOL LISA! you are too much! !